Nominated for Best Director, Comedy (Ted Wilde). I will be completely honest. I have watched several silent films so far, some of which I loved, some of which I did not, but one that I feel is no longer relatable is Speedy. The comedy is just over an hour long and full of slap-stick that Americans would normally love and respect. 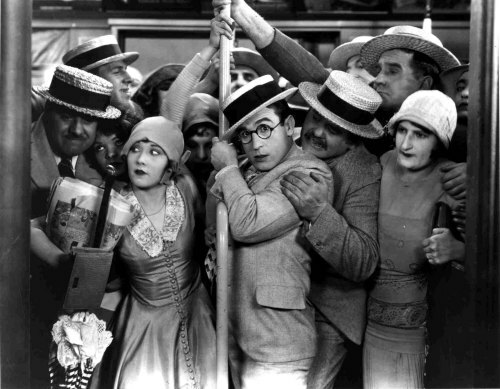 The star, who at the time was a bigger crowd pleaser than Charlie Chaplin himself, is none other than Harold Lloyd. His character is very bad at keeping down a job, partly because he is obsessed with the Yankees, but also because he is probably the most unlucky klutz of all mankind. After losing another job, he takes his girlfriend Jane (Ann Christy) out to Coney Island where the slap-stick and ill fortune continues. They pick up a dog along the way and ruin his new suit in the process. The whole story climaxes at the end with Jane’s Pop Dillon (Bert Woodruff) who runs the last horse drawn trolley in the city. As long as he runs the trolley once every twenty-four hours, he keeps his rout, but the big railroad tycoons are trying to take over and offer Pop pennies for his track. The one thing Speedy seems to do right is recognize that Pop’s rout is worth a lot of money and he will do everything to make sure that the trolley stays running, Pop doesn’t get hurt, and the tycoons pay up. Speedy has three distinct acts. In the first, Speedy loses his job and takes Jane out to Coney Island anyways. There is essentially no dialogue, only slap-stick comedy. When it comes to films depicting complete idiots who fail at every turn, I have very little patience. Although others find it amusing, and I could understand how this film could entertain in 1928, I grit my teeth and often leave the room because I can’t stand to watch it. That is how I felt the entire 71 minutes of this film. It was extremely uncomfortable. In the second act, Speedy has a job as a cab driver. He does everything from having an out-of-order sign on his car (unbeknownst to him), to getting several tickets, to driving the Great Bambino Babe Ruth himself to a Yankees game. He does absolutely nothing right and loses another job in the same day that he gets it. Yet again, I could not sit still while watching. The third act is my favorite. Speedy finally succeeds at something and he has a goal–protect Pop and save the trolley. He enlists the help of some old veterans who have their game nights in the trolley and feel fiercely protective of it. The railroad tycoons have hired some thugs to take it out of commission, but Speedy and his boys will do anything to stop them. There were a lot of things I could do without in this film, but it did have a few highlights. Ann Christy does a lovely job and I enjoyed her character as well as her performance. The shots of Coney Island are exquisite and if you have the opportunity to see this portion of the film, I would recommend it simply so that you can see it. The lights, the booths, and most especially the rides are so nostalgic and lovely. 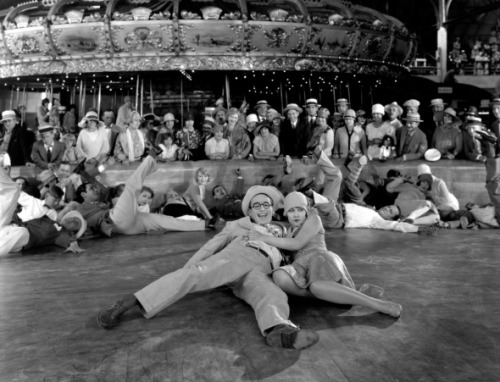 Lloyd’s last silent film captures the heart of Coney Island perfectly. Despite this, however, I could have done without the first two acts entirely. I wish that the story had more of a focus and got less sidetracked while attempting to make the audience laugh. Perhaps it is because America had come to expect this sort of comedy from Lloyd; I wouldn’t know. I wish that they had instead beefed up the third act and made it almost the entire movie. That being said, I am unfortunately not a fan of Speedy and don’t plan on ever watching it again. The recommendation to see it is very hesitant, although I would love for you to see some of the Coney Island shots and perhaps Babe Ruth himself looking very uncomfortable in the back of a speeding cab. Besides that, however, I really disliked most of the rest of the film. Nominated for Directing-Comedy Picture (Lewis Milestone). This production has been expertly handled by Lewis Milestone, who has performed his task with a degree of sanity that is most welcome. Who knows but what this photoplay may serve to discourage silly and boisterous efforts and encourage this same restrained type of comedy? This film is filled with splendid photographic effects that have evidently been made at no small cost. Where a number of men are needed to add to the impression of a sequence, Mr. Milestone has not stinted himself, for he shows an imposing array of “extras,” all suitably costumed. It is only toward the end of this subject that the adventures assume a fantastic aspect. There are then scenes wherein the two heroes scale walls and invade a Bey’s palace somewhere in Turkey. In view of what has preceded this, one is, however, willing to pardon such actions, for they are not without true humor and moreover none of the incidents are dependent upon the subtitles for the fun they create. “Two Arabian Knights” succeeds where “Tin Hats” failed. It is a yarn dealing with two American soldiers who are taken prisoner. Mr. Milestone starts his ball of fun rolling in an initial scene where Private W. Daingerfield Phelps (Mr. Boyd) and Sergeant Peter McGaffney are discovered in the slough of a shell hole. When Phelps observes that his companion is his hated top sergeant he wants to have it out with McGaffney before a shell comes along and cuts off their existence. Eventually the deep hole in the muddy earth is surrounded by Germans, and Phelps and McGaffney are captured. There are some realistic scenes of the German prison camp in snow-covered Northern Germany, and others that are concerned with the escape of the two men, who, while they still have no particular liking for each other, don’t want to be alone. It is set forth, that their Khaki uniforms in the snow stick out like a sore thumb, and finally, after an encounter between two Turks, the Americans help themselves to the white cloaks of their victims. Subsequently the two adventurers find themselves on a train bound for Constaninople, and after reaching that city they are sent aboard a ship, on which they meet the heroine, Mirza. A little thing like having no ready cash is settled by Phelps’s diving into the purser’s cabin and binding and gagging that officer. There is dismay on McGaffney’s countenance when Phelps reappears with a fistfull of paper money. Through purely natural expressions on the faces of the sturdy pair the Paramount audience yesterday afternoon was thrown into a high state of glee. And by the skillful and gradual way in which Mr. Milestone unfurls his episodes, there is a distinct element of suspense. Mr. Wolheim is capital in his portrayal of alarm, annoyance, anger, satisfaction and relief. Mr. Boyd also contributes in no small way to the gaiety of this piece. In fact although it is a comedy Mr. Boyd’s acting in this screen effort is even better than his serious work in other productions. Mary Astor is seen as Mirza and she, too, is deserving of her share of credit, and so is Ian Keith, who figures as a Turkish officer with a sly sense of humor. TWO ARABIAN KNIGHTS, with Louis Wolheim, William Boyd, Mary Astor, Michael Vavitch, Ian Keith, DeWitt Jannings, Michael Visaroff and Boris Karloff, written by Donald McGibney, directed by Lewis Milestone; “The Barber of Seville,” with stage effects by Paul Oscard; “Moonlight,” a Bruce sconic; “Florida,” staged by Jack Partington. At the Paramount Theatre. Nominated for Cinematography (George Barnes). An ingeniously contrived and magnificently photographed production, with the contrasting backgrounds of life under a circus tent and that in the palace of a mythical kingdom, has been wrought by Henry King out of Rudolph Lother’s novel, “King Harlequin,” which for reasons best known to Samuel Goldwyn, the producer, comes to the Rialto Theatre screen as “The Magic Flame.” In this film it falls to Ronald Colman‘s lot to impersonate both a sympathetic clown and a rascally prince, while Vilma Banky, the lovely Hungarian actress, plays the part of a stellar trapeze performer with the wagon show; she is adored by the humble follower of Grimaldi and she also attracts the vagrant eye of the heir to Illyria’s throne. Mr. King has pictured the various incidents of this story in an imaginative fashion and his introduction of the Clown, Tito, is excellent. 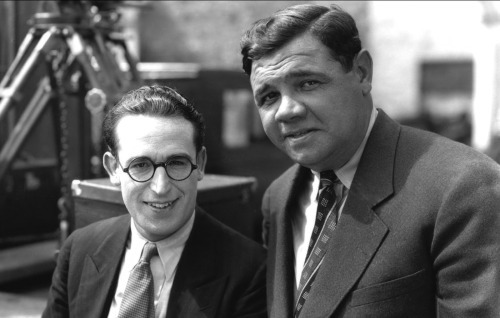 At first the features of Roland Colman are hidden under putty and greasepaint, but this Clown sits at a mirror and gradually wipes off the disguise until the well-known physiognomy of the popular player is revealed. It is, of course, a highly romantic affair, but the scenes in the circus are brilliantly filmed. After an exciting happening, Mr. King turns his camera to the unperturbed countenance of the circus band leader. This director has also accomplished remarkable effects by soft shadows and the close-ups of both Mr. Colman and Miss Banky fit in nicely with the action of the narrative. The comedy in the circus scenes is very well done, for although some of the tricks are ancient they belong to this type of show. There is the strong man who awes the audience with his lifting of prodigious weights and then there is the clown and his absurdities. Tito and the prince resemble each other like the proverbial two peas. The Prince’s father dies, and after the heir apparent, like Humpty Dumpty, is beyond picking up by all the king’s horses and all the king’s men, Tito finds himself bound to accompany Illyria’s noblemen to the royal palace or be arrested for the murder of the Prince. The beautiful trapeze artist suspects foul play and as she hears that the Prince is safe she believes that Tito has been slain. Therefore with a pistol concealed in a bouquet of flowers, she goes forth to put a bullet through the new King. Throughout this good-natured and interesting romance there are some joyous situations. At first one is impelled to regret Mr. King’s permitting the trapeze artist to leap out of a window, but when she happily saves herself by clinging to a tree one realizes that it is her circus stunts that serve her in good stead. The way in which Tito gets away from the palace is artfully arranged, for the Chancellor, who might have killed Tito (as the King), discovers that it is unnecessary. When the Chancellor informs the clown that he (Tito) must be apprehended for the slaying of the King Tito cooly tells that official that he will have a hard time proving that he (Tito) is not the King. Mr. Colman fills the dual rôle with much artistry. His mustache is longer and neatly curled as the Prince. This Prince also wears a monocle. The clown has put a faint suggestion of a mustache and his face does not appear to be as well nourished as that of the Prince. Miss Banky is attractive enough as the circus performer, but after the Chancellor has bought her one of Illyria’s latest creations, she is stunning. Miss Banky also delivers a competent performance. Gustav von Seyffertitz is splendid as the Chancellor. THE MAGIC FLAME, with Ronald Colman, Vilma Banky, Augustino Borgato, Gustav von Seyffertitz, Harvey Clarke, Shirley Palmer, George Davis, Andre Cheron and Vadim Uraneff, adapted from Rudolph Lothar‘s novel, “King Harlequin,” directed by Henry King; “Memories,” a technicolor novelty; Miriam Lax, soprano. At the Rlalto Theatre. Won Art Direction (William C. Menzies). 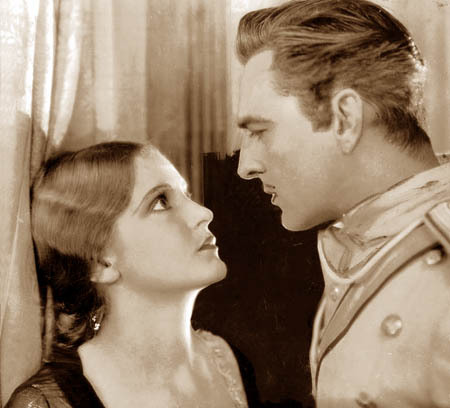 The sun is setting on silent films, but is also setting on John Barrymore’s illustrious acting career. In a performance that is reportedly more mellow and controlled than his norm, which is something that flies well in today’s audiences, he once again plays in a romantic film. He is a sergeant in the Russian army and is studying to become an officer, something that has not happened in years. To a society that had World War I fresh in its memory, a film about Russia and the fall of its aristocrats was common, although in Tempest, it is easier to feel sympathy toward the Czar. Sergeant Ivan Markov, although he is socially a peasant, has somehow gained the favor of the General (George Fawcett) and is therefore granted a review. Despite the Captain (Ullrich Haupt) being very anti-Markov, Markov is impressively promoted to Lieutenant and, in an incredible display of affection, the General gives Markov his old epaulettes. In a recurring role, a greasy, wide-eyed peddler (Boris de Fast) discourages Markov constantly throughout the film, telling him that Russia will soon belong to the people and that the aristocrats will never truly accept him. Here we introduce Princess Tamara (Camilla Horn), daughter of the General, and an extremely proud woman. Our first glance of her is during Markov’s review, when she asks her father if a man could be more perfect. This implies that she is a fun-loving, kind woman, but this opinion is quickly corrected. Prior to Markov’s official promotions, his fellow Sergeant Bulba (Louis Wolheim) steals the clothing of two bathing women from another soldier and upon intending to “return” them, Markov reprimands him and takes the clothes back himself. Inevitably, it is Tamara bathing and her fury is very evident. Markov, however, is a little dense and suddenly thinking himself in love, he kisses the princess. This leads to his persistent (and incredibly creepy) chasing of the princess, even at her birthday party. After being rejected, Markov drinks too much, and in search of the wash room, finds himself in Tamara’s bedroom, where he falls asleep on her bed next to the flowers he intends to give her. When the princess finds him, she rings for help, and the General arrests him in a fury. Markov is stripped of rank and sentenced to five years hard labor, which is quickly increased to solitary confinement. The princess suddenly feels remorse and affection. When the aristocracy finally falls, the peddler is revealed as a heartless leader. He breaks Markov from prison with Bulba at his right, gives him a fur coat, and lets him sit at his left while dolling out death sentences to anyone who supported the Czar, literally ripping children from the arms of their mothers and throwing them in front of a firing squad. Many movie critics often talk about the suspension of reality, which I generally find very annoying because unless it is a documentary, it is always just a representation of an idea and therefore is not reality. However, when it comes to Tempest, I will wholeheartedly say that in order to enjoy this film or think it remotely romantic, you will probably have to accept that it would never happen in real life. Markov was very creepy in his initial affections and I don’t blame the princess for not encouraging him whatsoever–too much positive reinforcement and you create a stalker. She doesn’t show him any kindness until the end of the film and therefore it is a wonder Markov can think his affections are love. The artistic qualities of the film are hard to see, due to damaged film, and the end of the film is very fragmented because it is so severely irreparable. There are a lot of scratches, bubbles, and dirt that cloud up the picture, but if you can look beyond it to the elaborate sets, you might be able to see why Tempest won the award for Art Direction. William Menzies was in competition with such films as Sunrise, therefore his achievements must have been well appreciated at the time to conquer such a running mate. All things considered, I would not recommend Tempest. I found it intriguing how I rooted for the Czar and the aristocrats so much, but it is possible because none of their characters were creepy, but instead genuine and believable. Beyond that and the sets, there is little to recommend the film.